Keno Kozie has recently noticed the arrival of a new phishing scam. 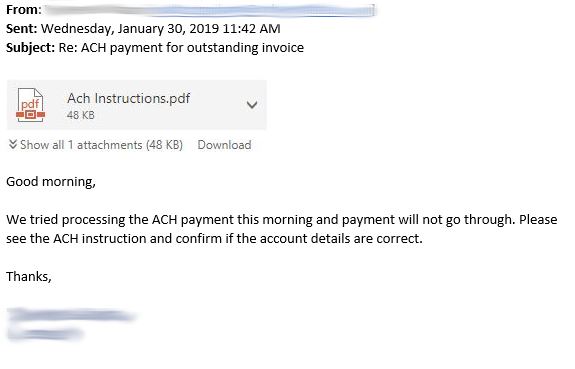 The emails appear to come from a person at a legitimate company and contain a PDF attachment asking you to review important information, such as outstanding invoices. In reality, these attachments contain a malicious link. 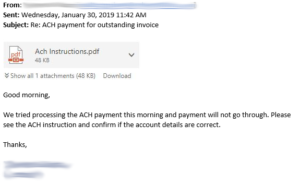 While previous malicious attachments allowed a user to click on the attachment’s drop down arrows to check the validity of the document, this new scam takes the user right to the malicious site when the drop down arrow is clicked. By removing the ability to click on the drop down menu, scammers have managed to remove a safety measure that even the most advanced technical mind may miss. To prevent the success of phishing techniques you should always be leery of emails that are impersonal, from people you don’t know, or do not address you by name. If you receive fake emails like these delete them immediately. Never click on links or open attachments in an email unless you are sure of the sender. Keno Kozie is committed to keep it’s clients safe and up-to-date on the latest news around computer safety and scams. If you believe you have been a target of this latest scam, feel free to give us a call at 312.332.3000. Keno Kozie Associates, Ltd. has been providing information technology design, service and support to leading law firms and legal departments since 1988. 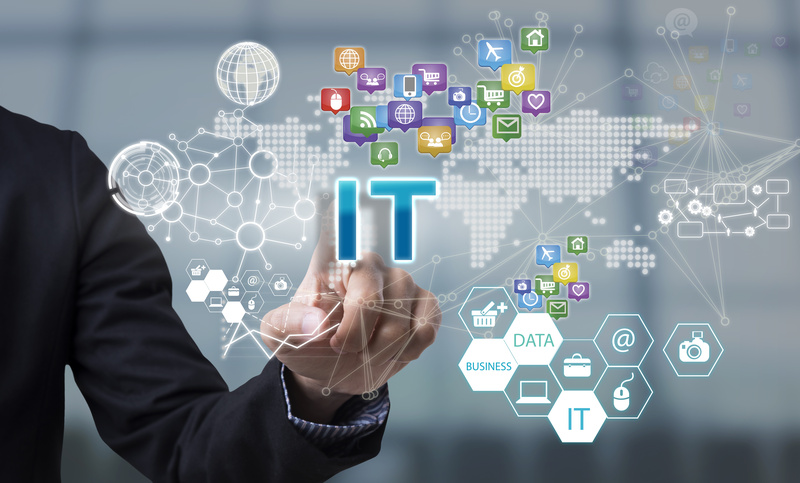 Hundreds of firms have chosen Keno Kozie to provide IT consulting, systems integration, advanced application integration, 24/7 help desk support, training, managed services and security and risk management services. The company was recognized in the Best of Legal Times Readers Rankings survey as a Best IT Outsourcing Provider for 2013 to 2016 and in the National Law.